Do you know the average adult heart beats more than 2.5 billion times during a lifetime? It beats 3,600,000 times a year, 100,000 times a day and 72 times a minute. Even though the overall weight of an average adult heart is only 11 ounces, it is capable of pumping 2,000 gallons of blood that travels through 60,000 miles of blood vessels every day. The amount of blood in human body that the heart pumps every minute may vary from person to person, but it is usually between 5 to 30 liters per minute. Many people ask exactly how much blood they have in their bodies. It is a common question, so let's find out the answer. 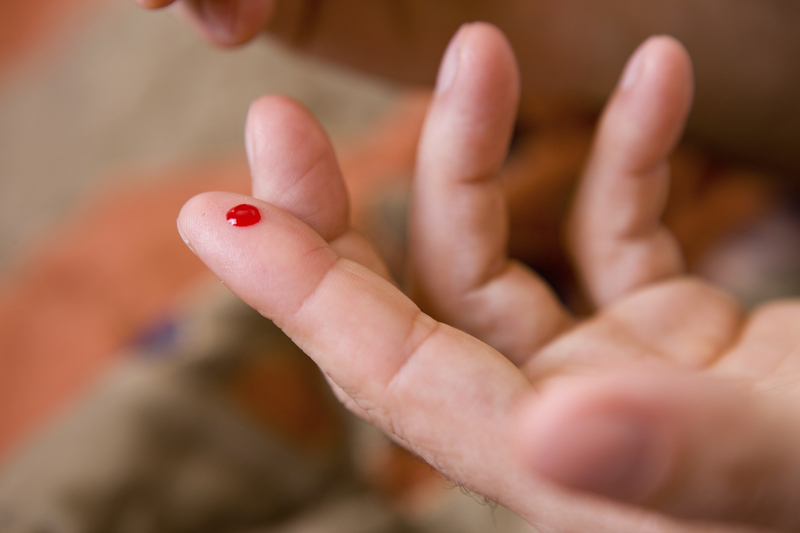 Do You Know the Normal Amount of Blood in Human Body? Check out the calculator here to figure out the specific amount of blood in a particular person depending on the weight, age, gender, etc. How Does Exercise Affect Blood Flow? Several factors, such as cardiac output, physical activity and venous return can affect the rate and distribution of blood through your circulatory system. With exercise, your metabolism will increase and your muscles will need more oxygen. This will make your heart beat faster to supply your muscles with all the oxygen they need. This, in turn, will increase the speed of blood flow. At rest, your muscles will be receiving only 20% of blood, whereas the blood flow will increase to 80% during exercise. Can I Bleed to Death? You can die if you lose half or two-third of your blood, but how much blood can you bleed usually depends on your health, age and fitness level. Normally, if you lose one-third of your blood volume, you will be in a serious condition and any more loss will lead to death. The loss of blood cells isn't that dangerous, but the sudden drop in circulation can prove extremely dangerous. Does Your Blood Have Gold? It really is! You have about 0.2 mg of gold in your body within your blood. It is so little that it would take about 40,000 people to bleed out completely to make an 8-gram souvenir. Pregnant Women Have More Blood? If you're pregnant, you have about 50% more blood when you reach 20th week as compared to the amount of blood you had before pregnancy. This increased blood volume supports the uterus and placenta. And at the end of a pregnancy, the uterus usually takes up about 1/5 of a woman's pre-pregnancy blood volume. Just like asking about the total amount of blood in human body, many people also ask about the amount of blood they can donate in one session. Each unit of blood donated is about 450-500 ml. You can donate blood if you're between 17 and 75 years of age and are healthy. If your body weight is 110 pounds or more, you can donate about 500 ml blood in 8 weeks. James Harrison needed 13 liters of blood for a surgery when he was only 13. He pledged to donate blood once he was 18. When he did, it turned out that his blood contained a rare antigen required to cure Rhesus disease. Until today, he has donated blood more than 1,000 times and saved up to 2,000,000 lives. A Green Bay Packers fan used to donate his blood every time he needed to buy a ticket, but he later discovered that the only way he could live was to donate blood because some wired disease. The game was actually a life savior from him! Saddam Hussein asked a Quran to be written in his own blood. Muslim leaders are now in a fix because it is a sin to write the Quran in blood but it is also a sin to destroy the Quran.